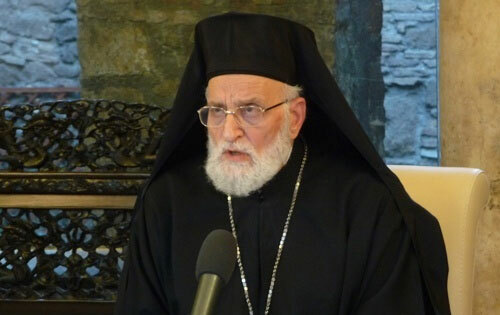 “You called upon us not to allow the flame of hope to be extinguished in our hearts,” said Patriarch Grégoire III (Loutfi) Laham in a recent address to Pope Francis in Rome. “We are resolved to be martyrs in this land, blood martyrs, like some of our faithful, including three men from Ma’alula: Michael Taalab, Antonios Taalab and Sarkis Zakhem,” who were slain in September. Solving that conflict, which has lasted for 65 years, means solving 50% of the Middle East’s problems and guaranteeing the Christian presence, a very significant presence for communion and witness.